Lionel Messi to leave Barcelona? David Beckham announced earlier this month that his start-up American team is going to be called Inter Miami, in a move that will target an international audience. In an explosive report by Daily Mail, it has now been claimed that Beckham is aiming to land Lionel Messi for Inter Miami's debut MLS season in 2020 in a bid to instantly make Inter Miami one of the most marketable football teams on the planet. The British publication further stated that a source close to Beckham’s club has denied any contact with Messi being made so far, or with any other potential targets, but admitted that the 31-year-old would be the obvious big-name signing if he could be prised away. 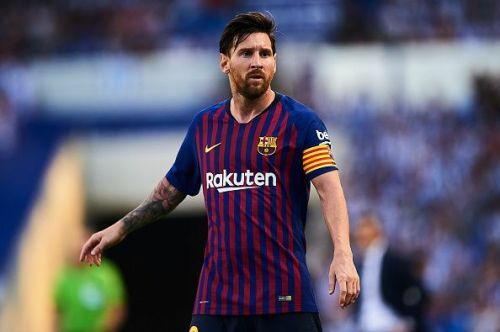 Messi’s contract with Barcelona expires in 2021, but by then he will already be 33, meaning the club and the player might be prepared to accept a huge offer a year before he becomes a free agent. However, the Argentina international has repeatedly expressed his desire to end his career at the Nou Camp. Major League Soccer (MLS) is quite notable for scooping up ageing footballing legends at the twilight of their careers. Nevertheless, Beckham's Inter Miami could definitely push the boundaries and acquire a mega signing at his prime. Besides, Miami has a large Spanish-speaking community, so integrating should be little problem for Lionel Messi from that respect. The speculation regarding Messi comes against the backdrop of a belief among club executives in the MLS that it is only a matter of time until an American club signs a top-quality European player who is in his prime. The report makes little sense presently. Beckham's Inter side are yet to secure a stadium as they await the results of a referendum in November to approve its location.